The Internet of Things, analytics and other technologies are being used to proactively solve problems, maximize organizational effectiveness and efficiency, and provide higher-quality service to citizens. However, they also present new data management, data integration and cost challenges to local governments. 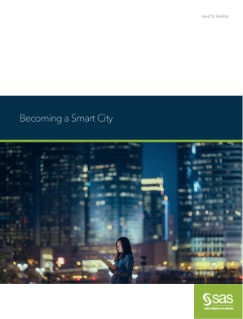 As explored in this paper, cities can overcome these challenges by establishing a clear vision and a strong analytical backbone – including a centralized data store – as the framework for city government.